IM: … Dictatorships are efficient. Democracy is inefficient and messy. Limiting solutions to one option is efficient. Questioning definitions and assumptions are inefficient. Monetization is efficient. Externalities are inefficient…. Coffman then presented the Carbon Tax Plan proposed by the Climate Leadership Council, was published in the Wall Street Journal in January 2019. “Our carbon dividends plan is the climate solution where all sides win,” stated James Addison Baker III. The plan calls for implementing carbon taxes and getting rid of pollution regulation. …A carbon tax should increase every year until emissions reductions goals are met…. …A sufficiently robust and gradually rising carbon tax…. …It would also create an incentive for other nations to adopt similar carbon pricing…..
…political viability of a rising carbon tax…. CNN: …In recent years, bills that might seem too bold to gain traction in other state houses have become law in Hawaii, gaining worldwide attention. Policymakers in the overwhelmingly Democratic state House -- with 1 Republican state senator and 5 Republicans in the state House -- have pushed forward a wave of ambitious progressive legislation. The state has banned certain kinds of sunscreen, raised the legal smoking age and committed to the Paris climate accord's goals. Lawmakers say the new laws are driven by a sense of urgency (hordes of lunatics chasing a headless chicken around the big square building)…. 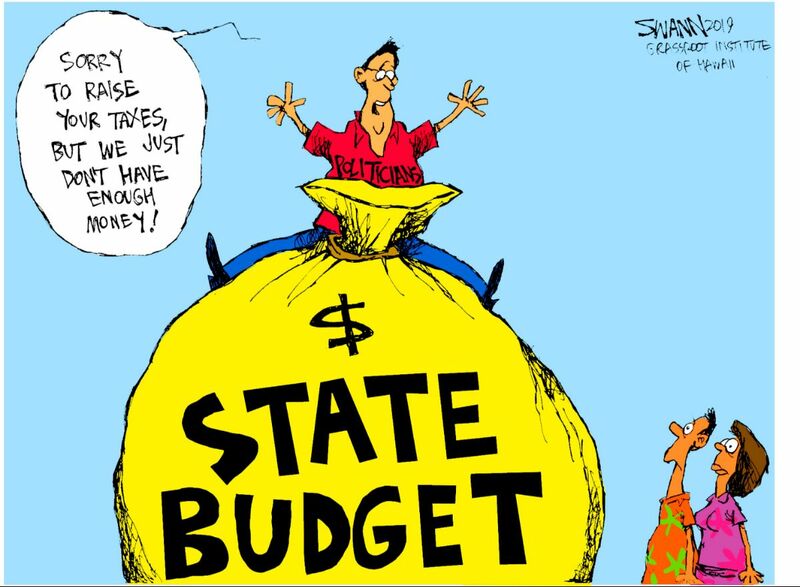 CB: … Hawaii taxpayers are on the hook for more than $60,000 to pay the legal fees of anti-abortion pregnancy service providers on Oahu that claimed the state violated their First Amendment rights. They successfully challenged a state law that required them to provide information on contraceptive methods, public programs for family planning, and other pregnancy-related services. Attorney James Hochberg wrote in court documents in 2017 that the law prevented the church-affiliated pregnancy centers from fulfilling their pro-life mission. U.S. District Court Judge Derrick Watson ruled in favor of the plaintiffs last September, saying the law was unconstitutional. CB: … As the trial nears in a high-profile case involving widespread corruption in Hawaii law enforcement, a silent legal battle is being waged in the background over courtroom transparency. The fight stems from a series of motions filed under seal last fall by Katherine Kealoha and the U.S. government in its ongoing conspiracy case against her and her husband, former Honolulu Police Chief Louis Kealoha…. Federal prosecutors also seem to have acknowledged that the secrecy has gone too far and that they’re open to more information being made public…. SA: … Drugs, especially marijuana, are turning up more often in traffic fatality reports nationwide. In testimony against SB 686, the state Department of Transportation noted that 22 percent of fatal crashes between 2013 and 2017 “resulted in positive findings for marijuana in drivers, bicyclists or pedestrians.” The Honolulu Police Department also opposes legalization, citing the threat of impaired drivers. Public health policy also comes into play. The therapeutic and pleasurable effects of tetrahydrocannabinol (THC), the main psychoactive agent in marijuana, make it a popular recreational drug. But studies have shown that heavy use, especially among adolescents, can be harmful. It’s likely true that the general public has grown more tolerant of recreational marijuana. It’s also likely that full legalization — making smoking a joint as socially acceptable as, say, having a glass of wine with dinner — would accelerate that trend. Lawmakers must consider what that could mean. The use of edibles among high school students, with a decline in smoking marijuana. SA: … A lawmaker who wanted to restrict the sale of cigarettes to people who are 100 years old or older backpedaled from his proposal today, suggesting instead that his bill be amended to limit cigarette sales to people who are age 25 or older. However, the bill failed anyway. During testimony before the House Health Committee this morning, Creagan proposed that his bill be amended to raise the age to purchase tobacco products from the current age of 21 to 25 years old…. “So, Dr. Creagan has not introduced this in vain, and it’s probably only a temporary thing before it rises itself either here or some other place in the world,” said Ward, (R, Kalama Valley-Queen’s Gate-Hawaii Kai)…..
HNN: …During a news conference under several monkeypod trees, Kaulupali called on the government to cease homeless enforcement in the area. He also asked the city to work with the camp to find a temporary site for the estimated 100 people who live there. They, alongside a group of concerned citizens called Hui Aloha, (claim to) have coordinated several park clean-ups. …What’s the city’s reaction to the effort? KHON: … Penny Parnes says she used to run at One'ula Beach Park, but she doesn't anymore. Now she's one of the people who participate monthly to clean it up. "We're collecting between two and three thousand pounds of rubbish each cleanup, and thats just during the organized cleanups that we're actually weighing and measuring," said Parnes, a resident of Ewa Beach herself. "Thats not even counting the individual weekly cleanups that members and other volunteer groups and other community members are doing." She says they've had to pick up things from tires, industrial cleaners, rugs, patio doors and even human waste. "So if you total it up thats 30,000 pounds of rubbish in the past year that if 808 cleanups was not picking up... I mean you've seen Oneula beach park. Its not perfect. But now picture it with another thousand pounds of rubbish on it," said Parnes. She says 808 cleanups has had to adopt it as one of the parks they clean monthly…. HB1107 Stalls -- would regulate and administer sports wagering in the Aloha State. Big Q: What do you think of the Ala Wai watershed flood-control project? What are Gabbard’s chances of clinching the Democratic nomination? Poll: Should Kauai have some regulations to limit tourism?